Uno dei must-have di questa stagione è la scarpa con punta metallica, tornata in "auge" grazie allo stilista Marc Jacobs, che le ha proposte per la collezione S/S 2012 di Louis Vuitton. Tanti sono i modelli, anche flat, caratterizzati da questo dettaglio "glamour", ma quelli decisamente più in voga sono le pumps, magari in colori fluo o pastello! Che ne dite? Assecondiamo questa tendenza? Prima di salutarvi, volevo inoltre informarvi che potete seguirmi anche con l'applicazione gratuita BenMODA per I-Phone ed I-Pad oppure potrete sempre visitare il sito BenMODA e rimanere in contatto con i blogger che preferite. One of the must-have this season is the shoe with a metal tip, backin "vogue" with the designer Marc Jacobs, who has proposed the collection S / S 2012 by Louis Vuitton. There are many models, too flat, characterized by this detail"glamor", but those are definitely more fashionable pumps, perhaps in fluorescent colors or pastel colors! What do you think? Following desire in this trend? Before to say goodbye, I wanted to also inform you that you can follow me with the free BenMODA app. for I-Phone and I-Pad or you can always visit BenMODA website and stay in touch with your favorite blogger. tra queste le mie preferite sono le marroni! Like Topshop and Zara! It look sooo beautiful! i love them all as well! i did metallics as well on my blog! happy that there are other who like metallics! p.s. thank you very much for your nice comment! i'm a new follower on gfc, twitter and bloglovin! hope you will follow me back! Io non amo molto le punte, però un paio di ballerine con la punta luccicante le comprerei! Concordo con Audrey, preferisco le punte più arrotondate, però il dettaglio metalizzato mi piace molto! Love TopShop and LV ones!!! Do you want to follow each other? Bel post, mi piacciono tutte! these from top shop are the best!! I love the Zara one sooo much!! I love the zara ones, beautiful!! Love this look! 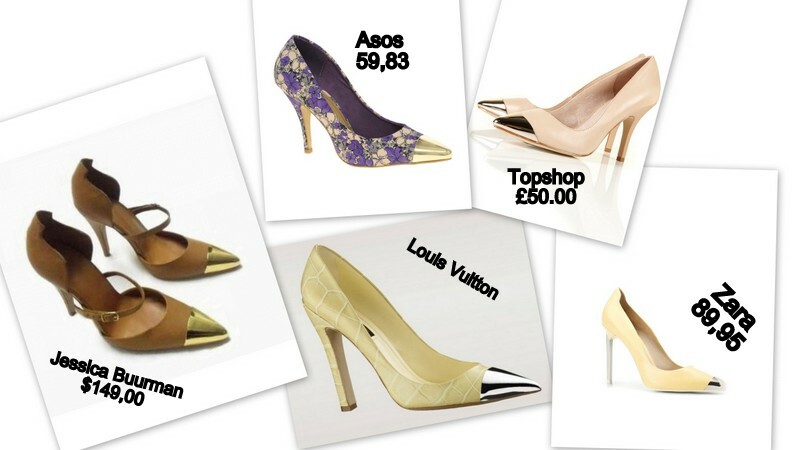 Those Top Shop shoes are amazing! so please follow me back too. Love this shoes, so so beautiful ones. ASOS is perfect, for the floral touch and price =) super cute post. I love the return of these great pumps! I'm doing it right now! I'm waiting u back sweetie! Hola! 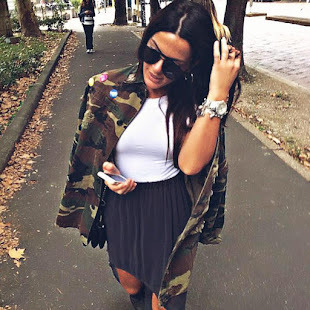 Me encanta tu blog.Soy fan! Me gutaría que pasaras por el mío y te hicieras tu también fan.Gracias.Besos! I love all those shoes!!! Those are some beautiful shoes! i definitely need a pair! Io AMO questo modello di scarpe!! worthwhile informative posts of the past!